In Marvel’s Iron Man VR, Stark is a genius inventor who will be facing ghosts from his past and powerful forces that are trying to ruin everything he stands for, like his company and his legacy. In this original story, Tony Stark will team up with “iconic allies” and fight against super villains around the globe to save Stark Industries and the world. An interesting sidenote that Payton included is that it will be a story specifically designed with virtual reality in mind. Marvel’s Iron Man VR also has a new suit called the Impulse Armor, which is designed by veteran Marvel illustrator and costume designer Adi Granov. His goal with the suit was to mix the “classic comic book aesthetic with an ultra-modern twist.” Granov is a British artist who has worked on the Iron Man: Extremis comic series and the Marvel Cinematic Universe movies. 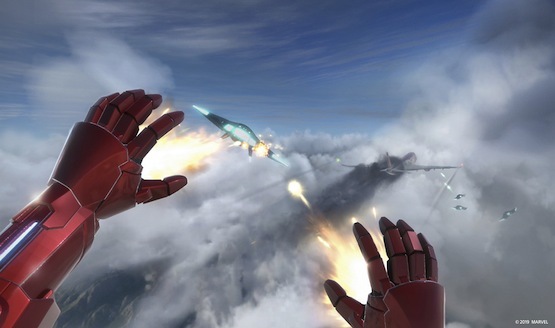 The goal for the game is to make “flying, shooting, and epic super hero actions feel natural and powerful on PlayStation VR.” Do you think Marvel’s Iron Man VR will succeed in that mission?